You need to catch the blue color bus from etna trasporti or interbus (it is the same company) or a small orange minibus to Taormina. 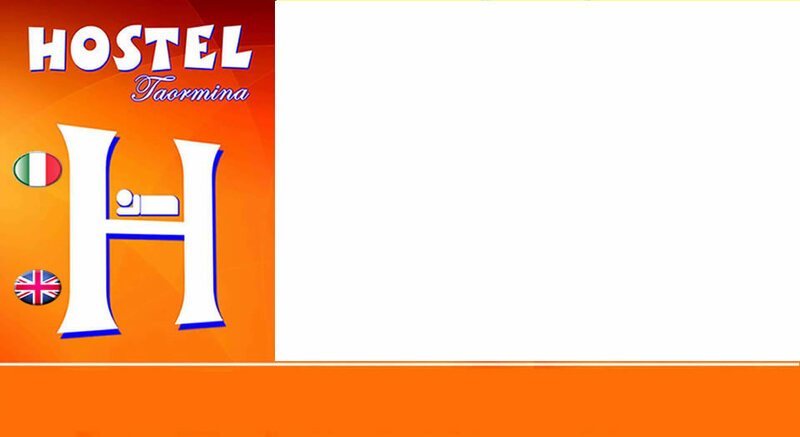 You will arrive at Taormina terminal bus. Then go left in direction of the centre for 500 m. Then you see the arch of Porta Messina in front of you; turn to the right walking trough a small hill for about 100 metres. now you are in via circonvallazione: you should see on your right another arch, go on the apposite side in the direction of Imperiale hotel - that is next door to our hostel. we are some meters ahead. We have a little orange mark on our door (we are in via circonvallazione n° 13). Hope you will find our address without any problems. Motorway A18, Taormina exit, Taormina centro. Continue towards of one the two car parks just outside the city gates. You can choose among Park Lumbi or Park Porta Catania: if you park in Lumbi, you can reach the city center by a free orange shuttle, that will leave you next to Porta Messina arch. Then go up to the hill on the right, so continue on the left in via circonvallazione. 2 minutes walking, we are further the big hotel Imperiale, we have a small orange mark. If you park in Porta Catania, you will be close to the post office square and Porta Catania arch. Going throught the arch, you will be in Corso Umberto. Walk throught it for about 500 mts, passing the central panoramic square. Then, on your left you will note a bank called Banco di Sicilia. 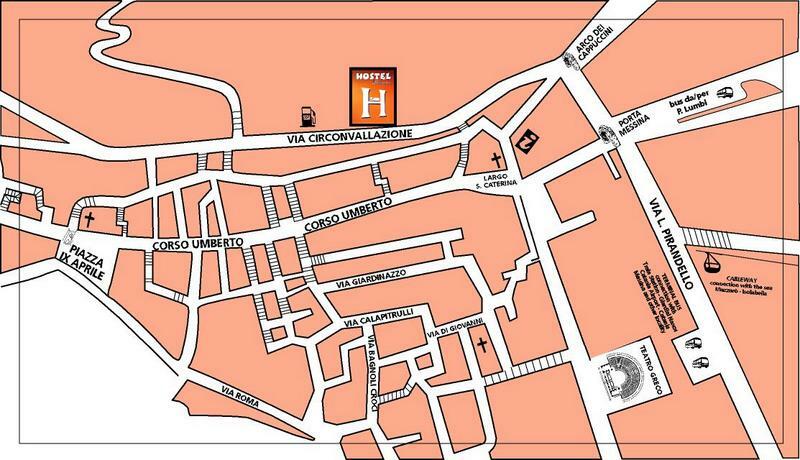 You just need to go upstair till via circonvallazione, we are between the gasoline station "Q8" and Imperiale Hotel. Go left in direction of the centre for 500 m. Then you see the arch of Porta Messina in front of you and turn to the right walking trough a small hill for 100 metres about. now you have on your right another arch, go on the apposite side in the direction of Imperiale hotel that is next door to our hostel. we are some meters ahead from this hotel. We have a little orange mark on our door (we are in via circonvallazione n° 13).Hope you will find our address without any problems.